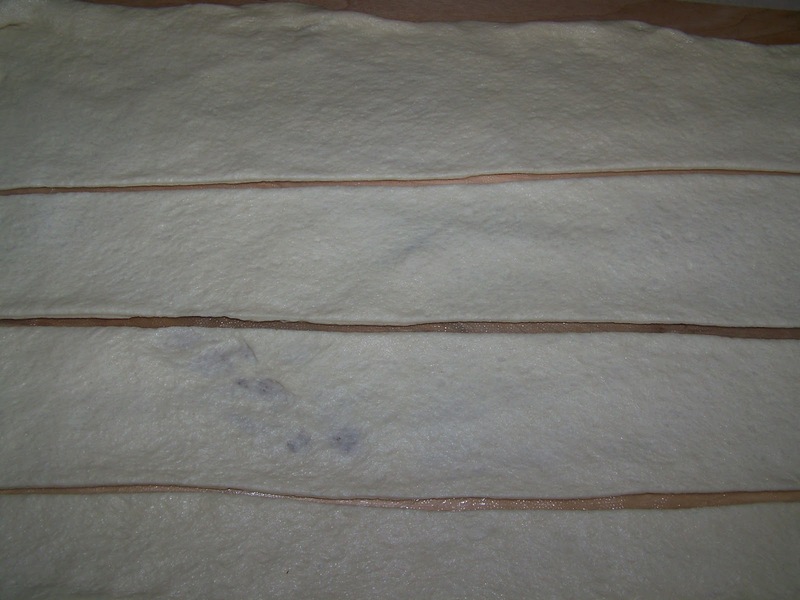 Cut the dough into four strips (from side to side) The easiest way to do this is to cut the dough into half and then each half into half again. 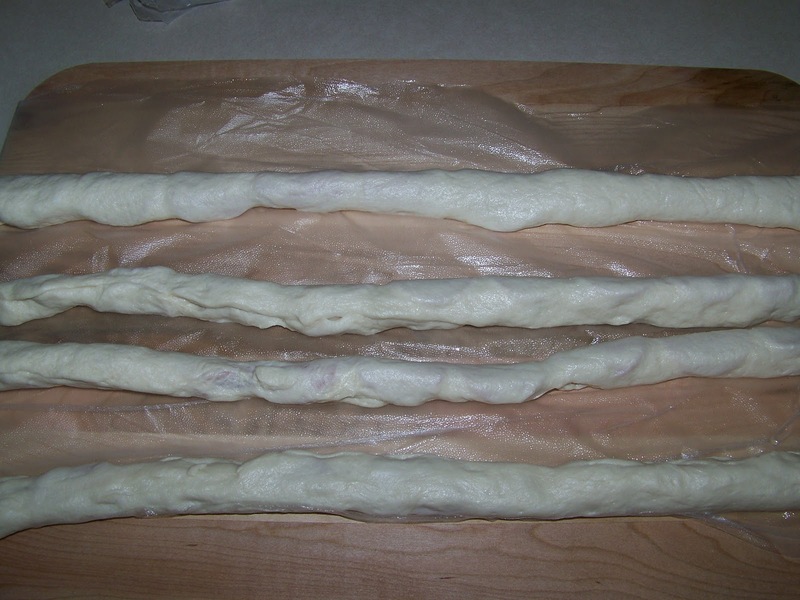 Place string cheese along the length of the dough. 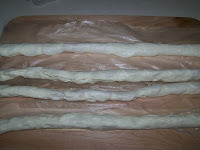 You will want to cut the string cheese into half (lengthwise). 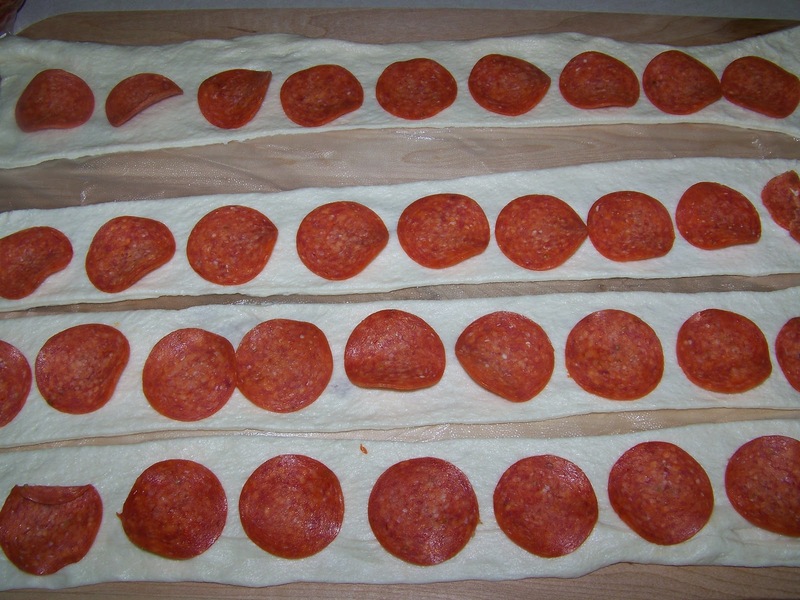 So you will use 6 sticks but place 12 total for your four strips. 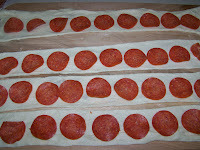 Roll up the sides of each dough strip over pepperoni and cheese, and tightly seal together. 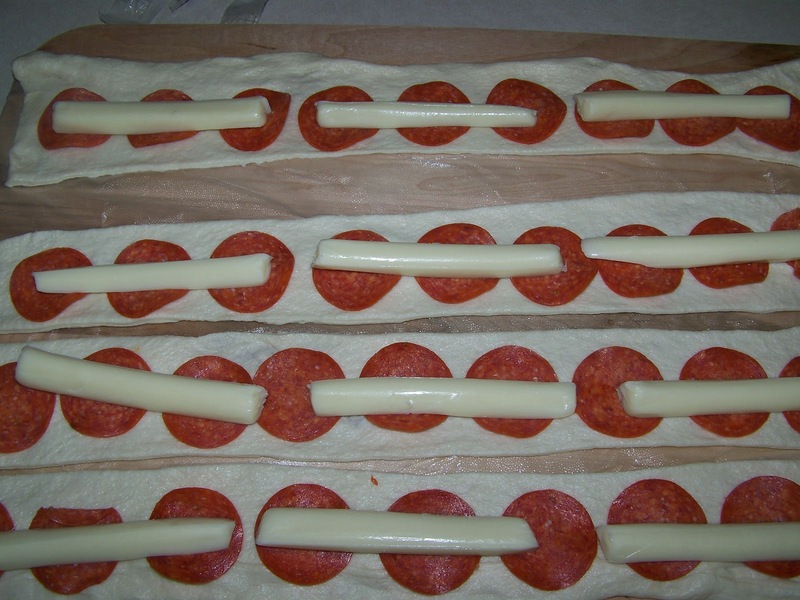 You will need to stretch dough as necessary to fully enclose the cheese and pepperoni. Then pinch the ends to seal. Form into your desired pretzel shape. 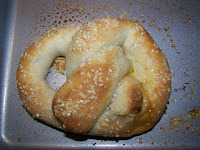 Spray a baking sheet with cooking spray and place pretzels to bake. 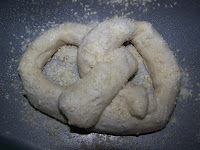 Brush each pretzel with olive oil and sprinkle parmesan cheese/sesame seed topping over each pretzel. 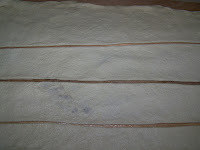 Bake at 425 degrees for 13-17 minutes. Mine were done at 15 minutes. Enjoy with your favorite pizza/spaghetti sauce for dipping. 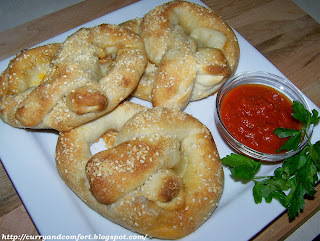 Pepperoni pizza stuffed pretzels...Awesome idea! These are just awesome. I love these! My husband would kill someone for one. This is a very cool idea. 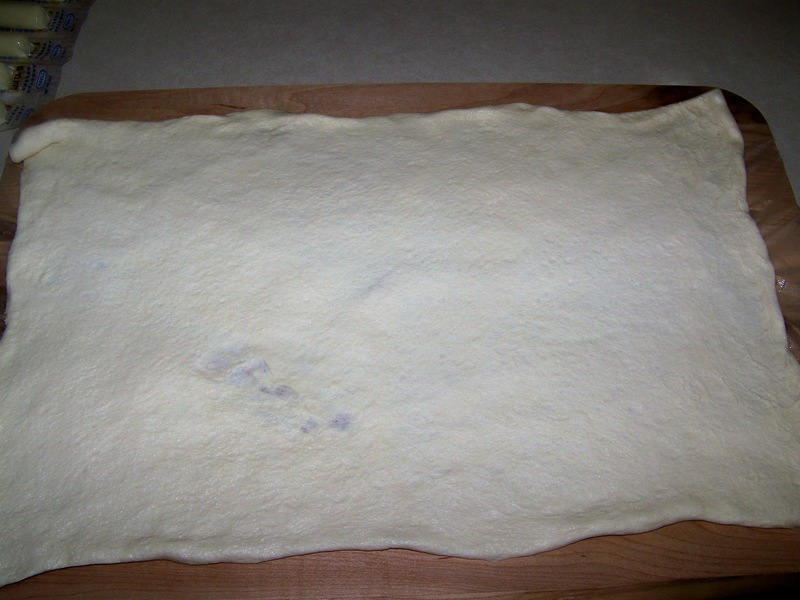 I love pizza any way it can be made. Thanks for the tip. 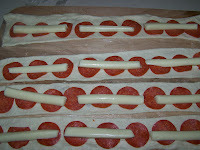 These are a fun way to eat pizza :-) I bet kids would just love them! What a creative way to invert a pizza AND pretzelify it! :) Cute! This could not be more brilliant. My husband will flip over this idea! Seriously, amazing!! My mouth is still watering from looking at the broccoli cheese bread bowls and now this? Definitly something my hubby would love as well. You've realy got a knack for comfort food, I want these!! This sounds like great bad-for-you weekend food...mmm. I think these would be so much fun for me and my husband. I cannot way to try it. 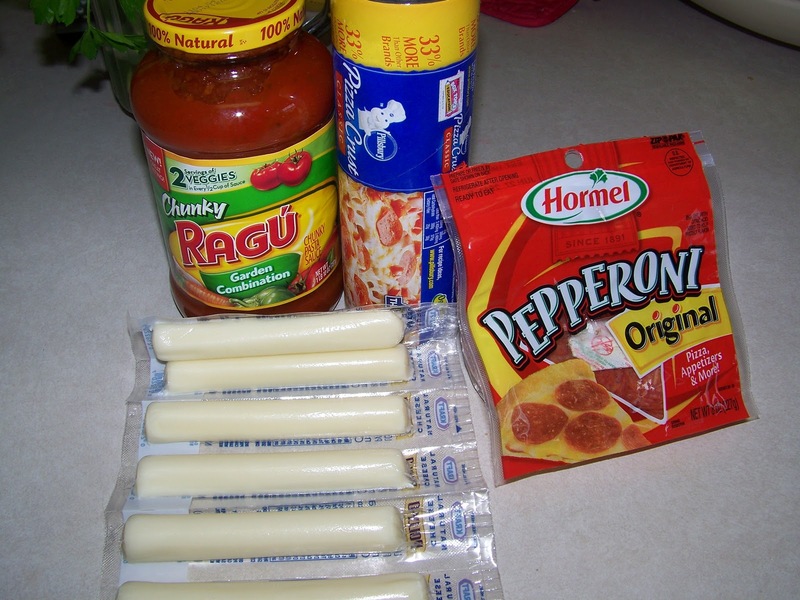 This is great Ramona and so much fun to eat! Ramona, those look terrific! I looked at your top picture and had no idea they were STUFFED! That makes them over-the-top delicious! Love this, Ramona!! 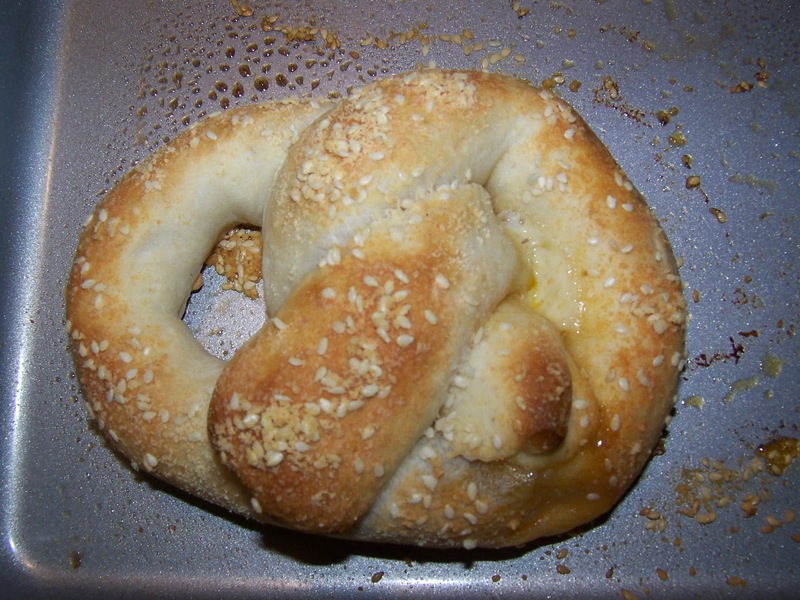 Who wouldn't love a cheese-stuffed pretzel like this?! I SWEAR ... you have the BEST ideas! OK I LOVE LOVE LOVE this idea! 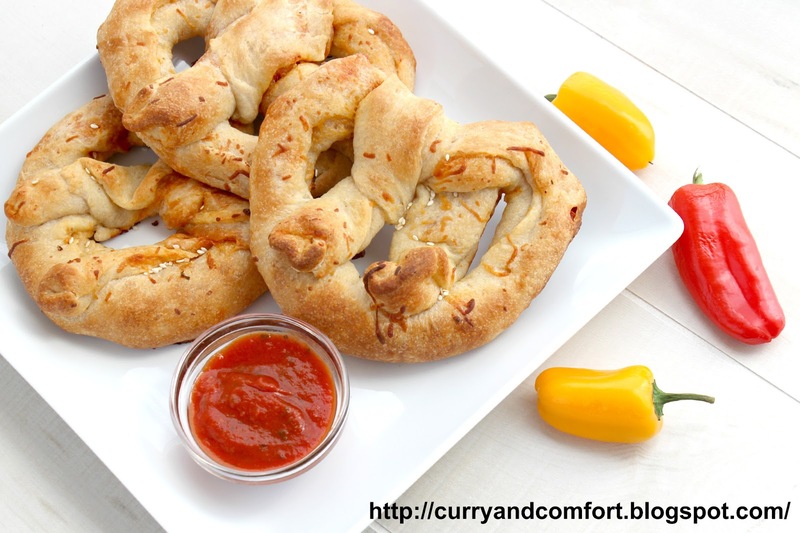 As if soft pretzels weren't already good enough on their own! These look scrumptious! 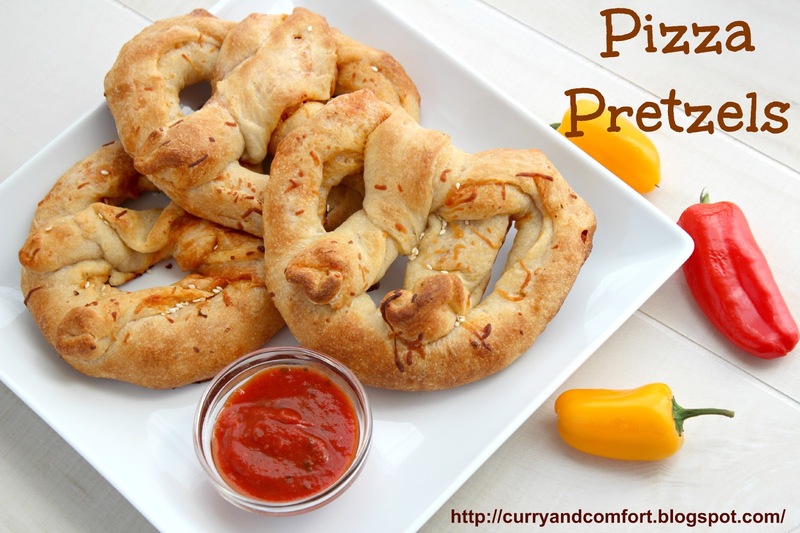 A wonderful recipe for big kids too. Too much fun! 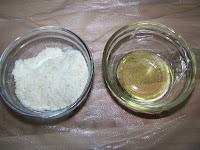 I recently came up with your blog and I couldn'y stop going through your recipes! Everything looks so yummy and just the names of your dishes make me travel to undiscovered places and smells!I was wondering if you would be interested in sharing your posts on Glipho? I bet that our users would love all your material! It's a quite new social publishing platform, where you can connect to every social network accounts, really easy to use it and communicate with your followers. In additional, you are able to import the posts from your blog in a super-easy way without affecting it at all. These are crazy good!!!! I've never made pretzels and this looks like a great recipe to start with. They look great and I love, love, love how eager your kids are to help in the kitchen. Wow, what a delicious idea!!! I must make these for my kids!!! Whaaaaaaaaaaa!!!! That is freakin' amazing! OMG I would finish all of those... and eat the crumbs off the floor... :-D I LOOOOVE this series!! It would be so much better if the ingredients were fresh and not canned US foods.